Location: Furness peninsula, Cumbria, England. Notes: Gleaston Castle is situated in a valley about 0.5 km north-east of the village of Gleaston, which lies between the towns of Ulverston and Barrow-in-Furness in the Furness peninsula, Cumbria, England. Today the castle is a scheduled monument and a Grade I listed building. The ruins can be viewed from the roadside, but it is unsafe to enter the castle due to its state of repair. As of 2010, English Heritage considered the property to be in a very poor condition and at risk of further deterioration; plans for remedial action were being discussed with the owners. 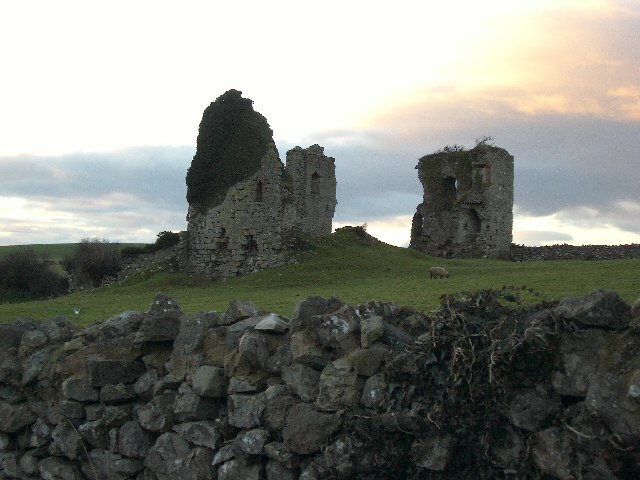 "Gleaston Castle". Gatehouse website, accessed 21 April 2011. "Gleaston Castle".English Heritage, accessed 21 April 2011.